The genius director James Wan, the creator of three popular and financially successful horror movies of the 21st Century: Saw, Insidious, and The Conjuring which have put the basis for their series, and director of seventh part of the Furious that attracted millions of viewers across the globe, this time, invites us to dive into an underwater world created by DC comics - AQUAMAN. We see a fierce battle for the throne of Atlantis. 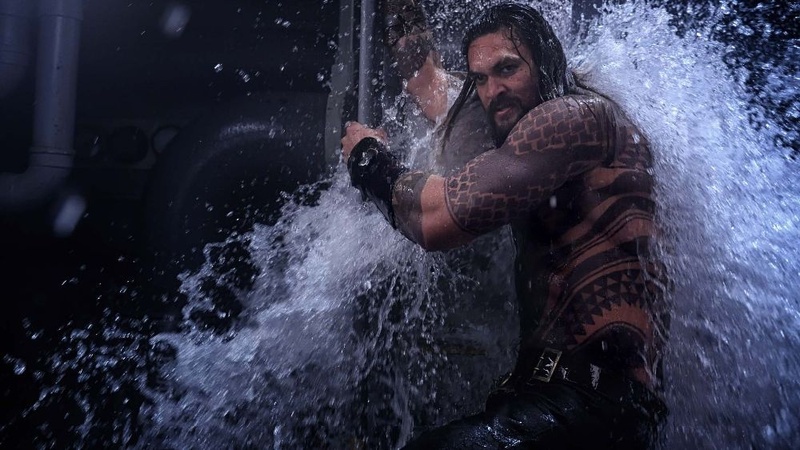 The film, full of spectacular images and breathtaking special effects, is telling the story of half-human and semi-Atlantis descendant Arthur Curry. It is a movie about Arthur's homeland that sank underwater, about the miraculous powers of Arthur equal to the gods, and the king's fate for him. 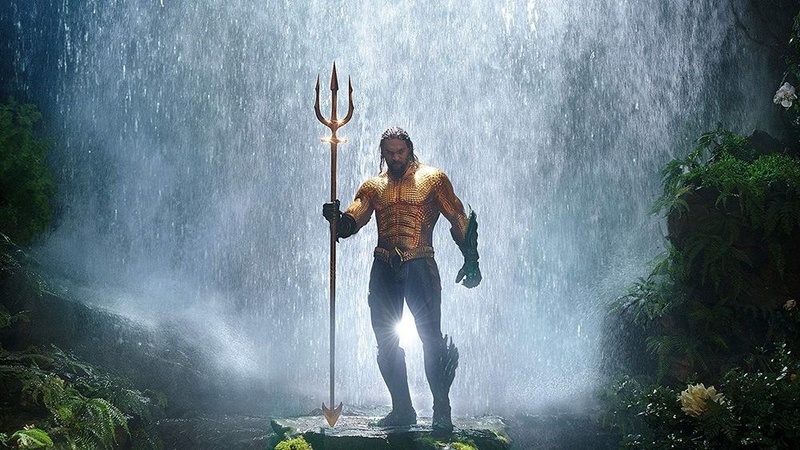 AQUAMAN is a superhero film, a fantastic blockbuster from the DC comics studio. This is a dynamic movie with many action scenes, well-staged battles, and colorful characters. Arthur Curry (Jason Momoa) is peacefully living in a lighthouse. He is the son of Queen Atlanna (Nicole Kidman), the Queen of Atlantis, who years ago escaped to the land and there fell in love with the lighthouse caretaker. Arthur knows his mother only by the stories of his father; she had to return to the underwater kingdom. Arthur from the childhood noticed some strangeness in the spirit of communicating with fishes and other underwater inhabitants, the ability to be underwater without the need to go to the surface for oxygen also managed to develop incredible power and speed. One day, Princess of Atlantis Mera (Amber Heard) visits him. He will find out that his mother was a real queen of the underwater country of Atlantis, and now Arthur must become the true heir of the Throne of the Seven Seas. Princess persuades him to return to his homeland where should be a war soon that can have serious consequences for all of humanity. 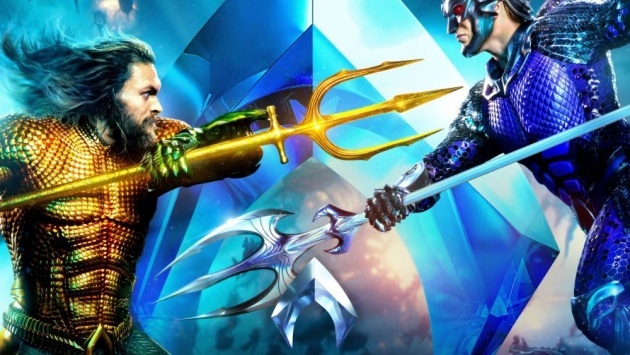 All this is due to Arthur's brother, Orm (Patrick Wilson) who seeks to unite all the underwater animals for one simple purpose - the authority. Having no any other way and wanting to protect people, Arthur decides to resist him. A lot of adventures, battle, and trials are waiting for him before he proves his legitimate right to claim the throne and become a real hero. The comic franchise started with a film Man of Steel in 2013, was criticized for a particularly dark narrative way. The critics, comics fans, and regular audience were used to the colorful Marvel cinematic world, so started to criticize this new franchise. Therefore, it is not surprising that the second film Batman v Superman: Dawn of Justice was met not just neutrally but has also been financially unstable. That definitely has an influence on future DC comic projects. And the influence was not in a good way. The film Suicide Squad has become a subject of ridicule, but because of its excellent advertising campaign, it has earned a lot of money, but we cannot say the same about the long-awaited Justice League, which brought huge losses to the Warner Bros studio. The only film that was greeted by ovations in this unstable franchise is the solo project Wonder Woman in 2017. I do not hide that DC comics personally are much more interesting to me than Marvel, but there is a story that is really spectacular over the last few years revealed to the cinema screens, which this year with the third Predator reached an unprecedented height. 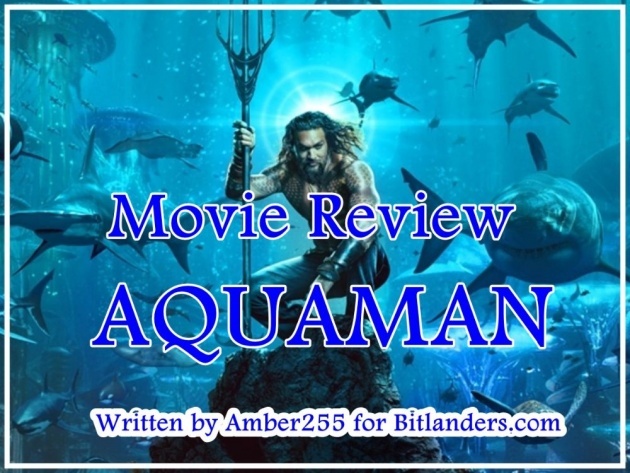 Apparently, this determined that I looked at AQUAMAN very skeptically, although I was deep in my heart hoping that a solution will be found with this movie, which will eventually satisfy comic fans, critics, and people who want spectacular but not banal entertainment. Still, I gave one more last chance to the Warner Bros studio. With Arthur Curry, we have already been able to get acquainted in the film Justice League that appeared last year. This character played one of the most important roles of the Superhero team and had to resist the incarnation of evil Steppenwolf. And while the hero from Atlantis was radiating charisma, he was clearly far from the prototype of that original character. Arthur's personage was first introduced in comics in 1941. Yes, you read it correctly. This superhero is 77 years old! In addition to the funny main characters, the film also features something that is not very typical for comic films and their screenings - high-quality and very well-integrated humorous scenes. Sometimes it's absurd, sometimes vulgar, and sometimes very deliberately mock the certain attributes of the characters presented. It's almost like Marvel movies, with just a pinch of originality. Of course, with just alone funny situations cannot attract the viewer who came to watch a film based on comic, so a lot of attention in the film is devoted to dynamic action. If you watched the movie Man from Steel, so there's even more action in this movie. Another reason why it's impossible to get your eyes off AQUAMAN is the underwater world. A few companies specializing in visual effects worked on its creation, and the result turned out to be really impressive. Atlantis, painted in green-blue and even pink shades, hides a separate civilization in which you want to plunge with 3D glasses. To reveal who with who is fighting and why I do not want to, but I must point out the final scene, which I consider to be the most magnificent and most attentive battle in this franchise, which is still under water. Just because of it, I would go to this film for a second time. In his first solo film, Arthur is almost the same as in the Justice League - an arrogant, witty man who likes to get involved in battles and who is caring for people around him. But he, along with these features mentioned by me, is also presented from a rather human side, which makes impossible not to like him. It is Arthur the whole story is based on, where we get to know the mysterious world of Atlanta and its inhabitants. 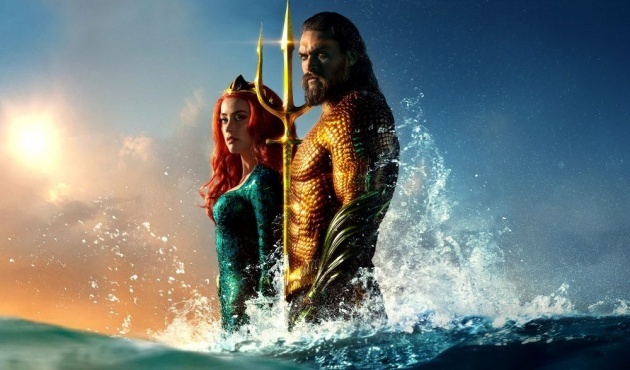 The film presents a lot of interesting personages, but still the most important in addition to Arthur is Princess Mera, who is also no less cool than Aquaman himself. King Orm is also an interesting character who wants to fight with the people and the extremely powerful Arthur's opponent Manta. I'll talk about them. Orm is, in my opinion, one of the best if not the best of the universe's evils in a film based on the comics, and his plan and goals are very clear and even logical. Therefore, it is sometimes possible to agree to him from time to time and even feel sympathy for what he is doing. Black Manta is also bad personage. It's a brutal and extremely ardent fighter, against whom even Arthur himself sometimes seems like a boy. This duet forces the main character to work hard because even the tiniest mistake in combating them can mean a painful defeat. 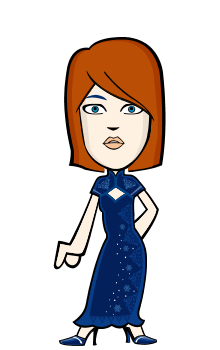 Princess Mera is the black widow of the underwater world if we match her with some Marvel films based comics. She is beautiful, physically strong, and taught to manipulate men's weaknesses perfectly. This is a really fun and multi-layered character, which will be able to do much more in the future than in her first roles next to Aquaman. Other personages such as King Nereus, Queen Atlanna, Arthur's teacher Vulco, and his father Tom also contributed to the development of the main character, and added this story to interesting storylines turns that allowed us to thoroughly grasp the mysterious world of the Atlantis and its rigorous rules. Like any film based on comic, AQUAMAN did not go without the help of CGI. More precisely, almost the whole film was created thanks to this technology, which allows us to implement any visual fantasies of the developers. 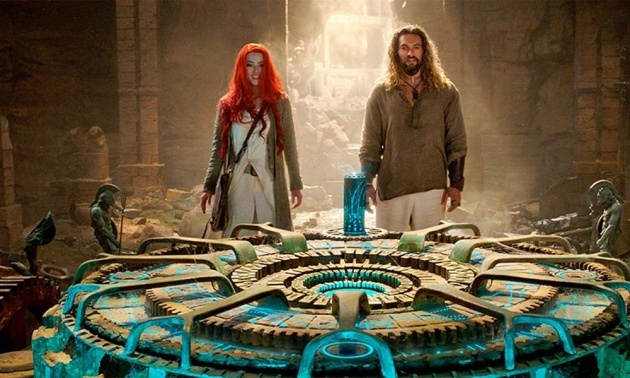 The invented world, the concept of Atlantis, the interiors and location, although all that does not look original, the scale, attention to the details cause delight and respect for the creators. The special effects are very high, although, of course, a lot of CGI effects are used on some of the scenes, which has somewhat was a bit funny because of its use in such primitive and non-action episodes. But let it be. Everywhere else - a fairy tale and a feast for the eyes. And 3D is awesome here. Surely, here is one of the better films in this 3D space seen in 2018. The visual components throughout the story look great, the artists and film designers have done a tremendous job, and the director is showing a cool scene literally every five minutes. Just sit and enjoy the spectacle. You will not be disappointed. The soundtrack is dynamic and memorable. The main tune of the AQUAMAN movie, even at the end of the review, sounds in the head. The soundtrack was perfectly worked out, and all the applause, in this case, goes to Rupert Gregson-Williams, who, incidentally, has written music for another comics film, Wonder Woman. Don Burgess, the nominee for the Oscars, also made it possible to experience very good impressions in the cinema because of his dynamic filming. All the action scenes were very effective, which sometimes seemed like you were involved in this action. The audio editing is powerful, but it's understandable when you see huge battles underwater. I also liked the visual montage. 2,5 hours movie may sound a bit long, but it is not boring for a moment because of a curious story and a storyline that is developed successfully. In the rest, everything looks good, from large-scale naval battles to dynamic hero duels. Everything is filmed and showed interesting and tasteful. 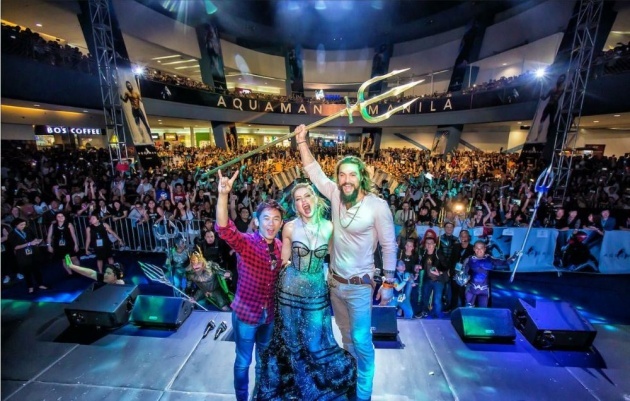 Jason Momoa played a leading role and once again coped well with his Aquaman role. Not only the physical actor's preparation for this role allowed to admire him but also his enormous charisma, thanks to which, this new and extremely cool superhero was created. I was surprised by the actress Amber Heard, who was playing the role of Princess Mera. She was not so slow in this film as in most of her roles, and she managed to demonstrate two very expressive advantages. On the second-rate roles, it was possible to see three great actors - Patrick Wilson, who was the main evil person, Nicole Kidman who played the role of Arthur's mother, and the charismatic Hollywood veteran Willem Dafoe. All of them showed a compelling performance that convinced everyone. Dolph Lundgren, who has been featured in B category films for the past two decades, has also contributed to the cast. More recently, he had the honor to play in the second part of Creed where he performed the role of Ivan Drago, and here he made good efforts to embody the king of King Nereus. If I did not know which actors in the movie play, I would hardly recognize him. Such a kind of perfect makeup is in this movie. Other actors who rejoiced us by their appearances on the screen were Leigh Whannell, a good friend of James Wan, Temuera Morrisonn, star comedian Randall Park, The Hobbit star Graham McTavish, and Yahya Abdul-Maten II in Manta role. In the whole, it's a film based on comics that we've been waiting for a long time. James Wang has done great work, and he not only brought a hard-to-do story to the big screens but also proved to be a versatile filmmaker working on both small and large-budget cinema projects. Let's hope he will agree to direct the second part, which is already planned by the Warner Bros studio. The film is uniquely worth seeing only on the largest screen cinema because only there, it will provide a full entertainment for people of all ages who want to spend some hours of life in the midst of a charismatic superhero. 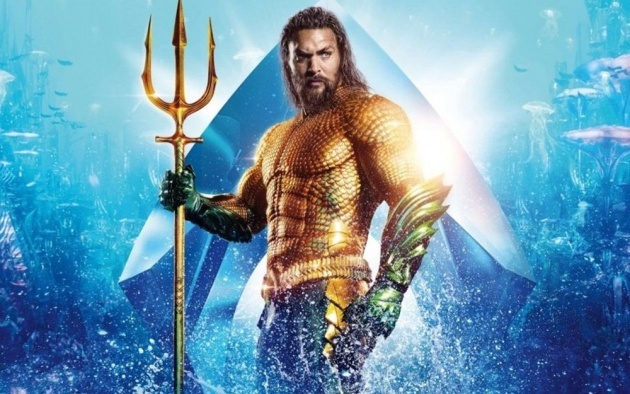 AQUAMAN is an immaculate entertainment film based on comics. Its strongest features are an easy-to-follow story, episodes of good humor, a great visual component, and other quality-assertive elements of the technical side, charismatic actors, and most importantly, the thorough work done by James Wan. He moved to cinematic screens a 77-year-old comics about the spectacular adventure of Arthur Curry. Summary, DC comics has finally received a decent screenplay for which creators can be not ashamed. The Movie is so damn cool and is filled with nail biting momemts didn't expect this from the Dc universe.